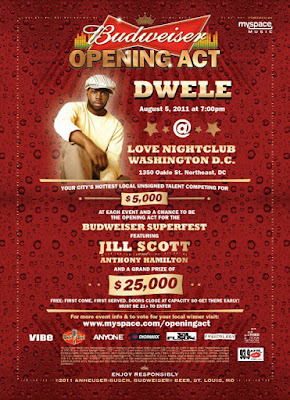 Washington, DC area music lovers, be sure to come out on Friday August 5, 2011 by 8pm SHARP to enjoy a FREE (yes FREE :-) concert featuring Grammy Award Winner Dwele with performances by DC's own BRIAN BLUNT (Cool Fire, Rox Rhythm, Yamam'Nym). This is a special performance that you don't want to miss. It will be a special taping done, so be sure to get there early! Once they reach capacity, the doors will close. Doors open at 7pm. 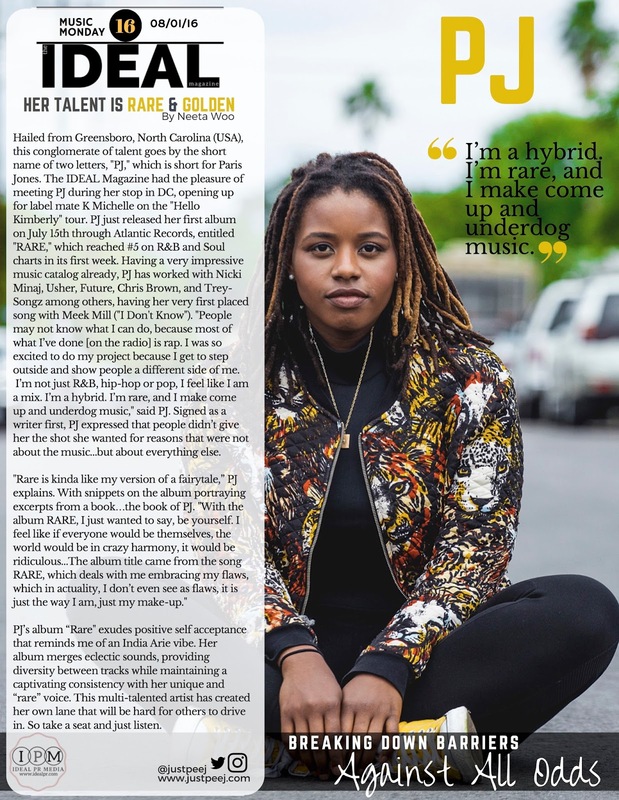 Brian will be one of the ten acts that will be competing for the chance to open up for Jill Scott and Anthony Hamilton in Washington, DC on Aug 7th at the Budweiser Superfest. Be sure to check out Brian on Facebook...click his picture below to get to his page. Good Luck Brian! Ideal PR Media Love you!!! CONGRATS to Briant "B. Blunt" for winning this yesterday! There were 10 AMAZING performers for this Myspace competition to open up for Jill Scott and Anthony Hamilton, and HE WON!!! 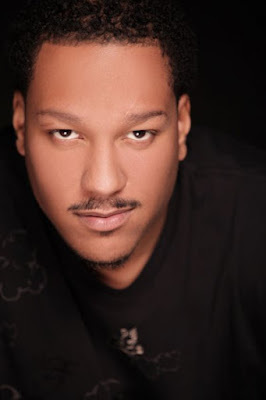 Ideal PR Media Loves and supports you M. Brian Blunt!! !